Annmarie Skin Care > We Heart... > Our 2018 We Heart Roundup is Here! 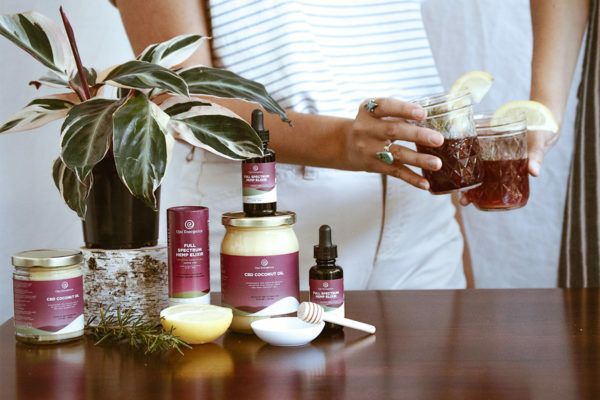 If you don't already know, We Heart is our monthly, ongoing blog column devoted to sharing the ethical, natural, wellness-oriented companies that we love. Every month, we hand select a new company, across a range of industries, to share with our community. A We Heart feature from us is no easy feat, either. We vet these companies to ensure their business practices align with our company's values—checking everything from sourcing, to production methods, to certifications and more. You can rest easy knowing these companies models align with the Annmarie Skin Care standards for ethical, sustainable, and clean products. With the holidays approaching, we wanted to shout out a few of our favorite We Heart's from the year. As you do your holiday shopping, consider giving your patronage to some of these amazing companies! We featured Ojai Energetics in August of this year, but we've been using their CBD Coconut Oil in our office ever since. Ojai Energetics makes fast acting, organic CBD products. They support regenerative farming and fair trade practices that use certified organic methods, or beyond organic methods like bio-dynamic or permaculture systems, for every ingredient. Their full spectrum hemp oil is water soluble and most people feel the effects in under 30 seconds (you would have to take 5000mg of a regular CBD rich hemp oil to get effects of their 250mg!) Its also loaded with some of natures most powerful super foods like moringa and acerola cherry. 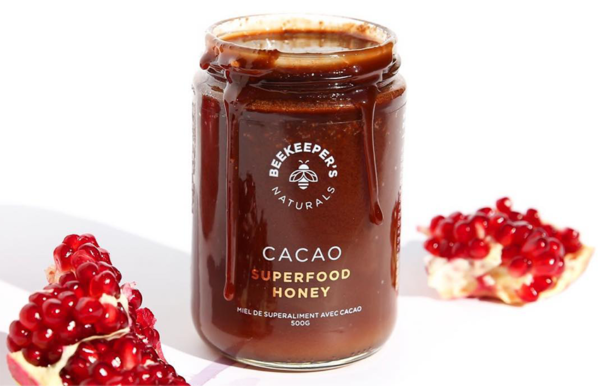 Beekeepers Naturals is another company who's products continue to grace our kitchen shelves long after our We Heart feature ended. Beekeepers Naturals offers a wide range of sustainably sourced products, including propolis spray, several different types of honey, raw bee pollen, and dynamic formulas that are made to help boost the immune system and brain function. Their business model is clean, sustainable, and ethical. They work with remote farms and apiaries to support bee colonies all over the Canadian North. They work exclusively with small scale green beekeepers who have over 5 miles surrounding area of organic grounds (bees forage for up to 5 miles so they ensure the bees have pesticide free food sources.) Yum! 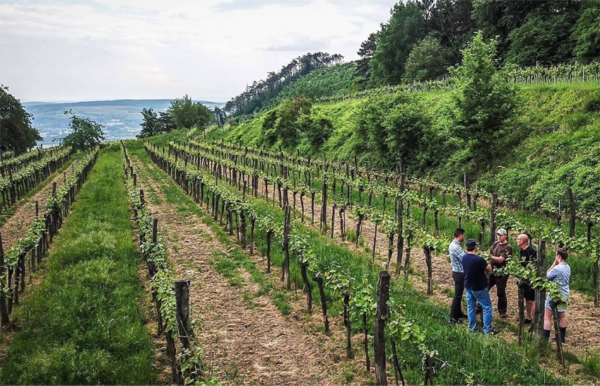 This incredible company is working with wineries all over the world to bring safe, delicious, and ethical wines to your doorstep. What makes their wines different than commercial wines? While a typical hair dye ‘paints your hair,’ Hairprint restores your hair to the color it was before you went gray. It sounds too good to be true, simply because it is so unlike the way that typical hair dyes work. So when we learned about this company, we had to share it with you. Hairprint is made of 8 food grade ingredients and restores brown and black hair to its original, pre-gray color. For people whose hair has been gray for many years, it can take two treatments to cover, but for most people will get coverage after just one treatment. It's easy to do yourself at home, or you can bring it to the salon and have them apply it for you. For the first time in decades, there is a healthy way to cover gray hair or restore shine and softness to hair that has become brittle and dry (they have an anti-aging kit for those whose hair has not yet gone gray). We love Hairprint! Four Sigmatic has whole line of some of best sourced mushroom products out there, including mushroom infused coffee and coffee substitutes. Their Lion's Mane Coffee is a favorite around here! 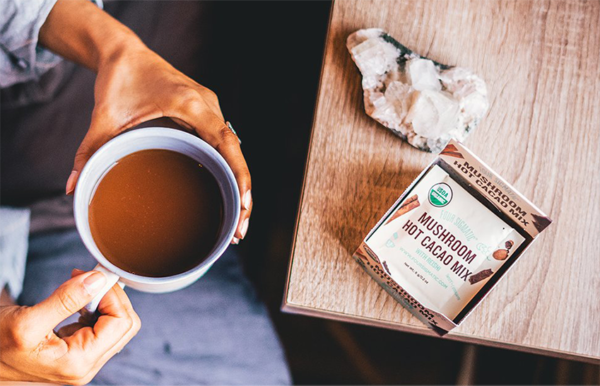 Four Sigmatic is easiest described as a group of mushroom fanatics. The company is built entirely around the healing powers of mushrooms—those deep, immune boosting properties that help build energy reserves and give life to new power you didn’t know was in you. And of course, we're always interested in sustainable sourcing, so we were really happy to find out that Four Sigmatic has an amazing process that keeps the mushroom populations safe while still diving into the deep benefits that the mushrooms offer. Take 15% off your first order with coupon code annmarieskincare – shop here! 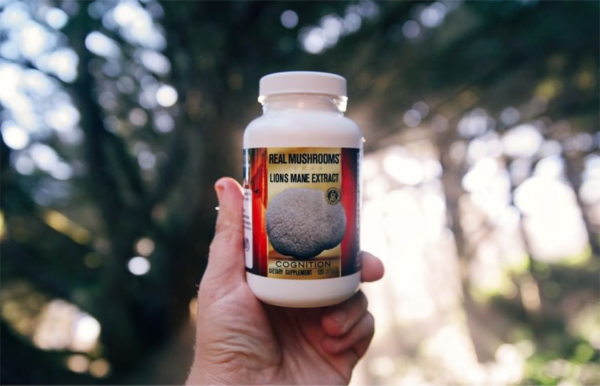 Many consumers and even health practitioners are being misled into believing they are consuming mushrooms when in fact the products are nothing more than mycelium cultured grain, much like the food product Tempeh. Very few of the important medicinal compounds found in medicinal mushrooms are contained in these products. With this knowledge, the founder of Real Mushrooms saw an opportunity to develop a product line based on the mushroom itself. His goal was to educate the public on how medicinal mushrooms are grown, what to look for in a medicinal mushroom product and ensure that their products were consistent with the scientific research. Real Mushrooms was created to emphasize the fact that their products are solely made from mushrooms. They have an amazing product line of mushroom supplements and extracts! Self care doesn't end at skin care, and that's why we're obsessed with The Dirt. They're the clean, sustainable answer to our oral hygiene needs. 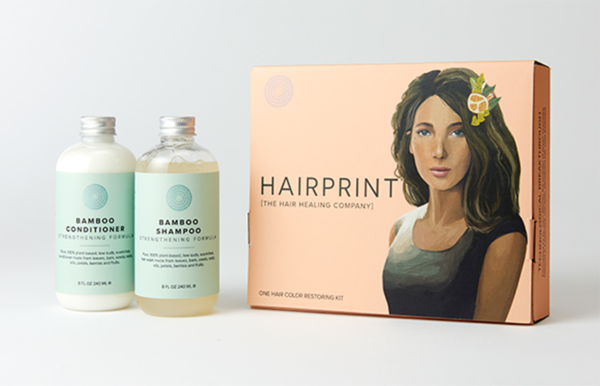 The Dirt Paleo Personal Care was founded after their founder, Shannon, noticed that her favorite natural products used ingredients that were highly processed and questionably safe. Drawing inspiration from her passion for studying traditional beauty secrets from around the world, she blended potion after potion until the ultimate formulas were created by blending essential oils, minerals, and fats that both perform and taste fantastic! 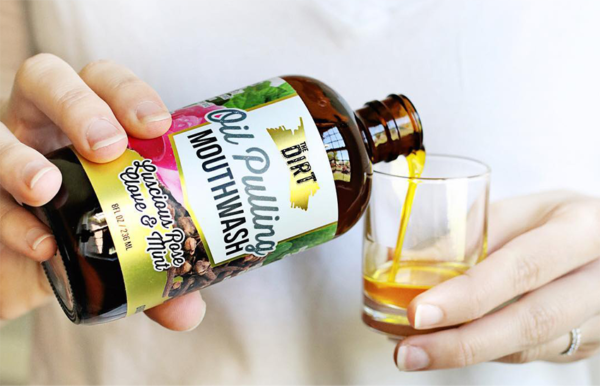 We love their 100% Copper Tongue Scraper, their all natural MCT Oil Toothpaste, and their Rose Clove & Mint Oil Pulling Mouthwash, to name a few. 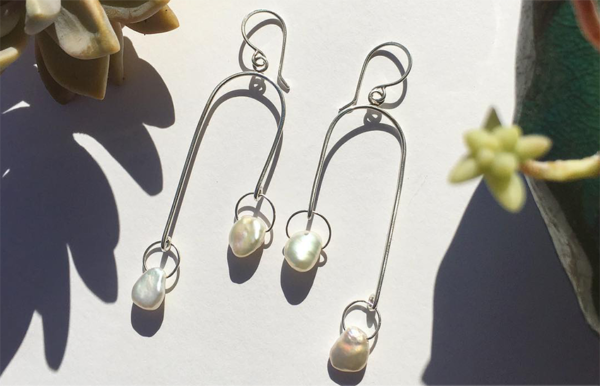 Simple, well-made, and celestially inspired, Tess Young's jewelry is just beautiful. Tess was studying illustration and painting when, one day, she picked up a torch and hammer and realized that what she loved was making jewelry. These pieces are made to last—both in that they are made with high quality materials and in that the designs are timeless. She makes all of her jewelry by hand and specializes in unique pieces—she says that she loves when someone comes to her with a new idea for a piece and she gets to turn it into their dream accessory. Adding her to our gift guide—and our gift basket—means that we get to support someone we love personally and professionally while we watch her small, eco-friendly business grow. Have you tried any of these We Heart companies? Which are your favorites? Let us know in the comments! I found out about hairprint several years ago from the Annmarie blog. I had colored my hair to cover gray for 15 years and my hair was really dry and quickly becoming wiry as I turned 40. It was breaking off, dry, wiry and increasingly unmanageable. I’m a low key hair product and style kind of girl, but in desperation, I tried different things like the pricey keratin treatments. My hair just got worse when the treatments wore off. I finally bit the bullet exactly 2 years ago and bought Hairprint. I did the “hair transition route ” with Hairprint for color treated hair. This means you coat the color treated hair in coconut butter and use the Hairprint product on just the roots. It has been a long process but so incredible and worth it. My hair stylist has been amazed at how my new hair has grown in healthy and completely changed texture. The color is great and my exact natural color. I also use their shampoo and conditioner. I have past shoulder-length hair so I now have just a couple inches of my old color left (still so dry). A couple more hair trims and I’ll have all new and natural hair all the way. My hair is now even softer and wavier then before I ever colored it 15 years ago. It is truly an amazing product. I feel like Elaine with the sponge… should I stock up just in case something happens and Hairprint goes away? That is how much I love the product!